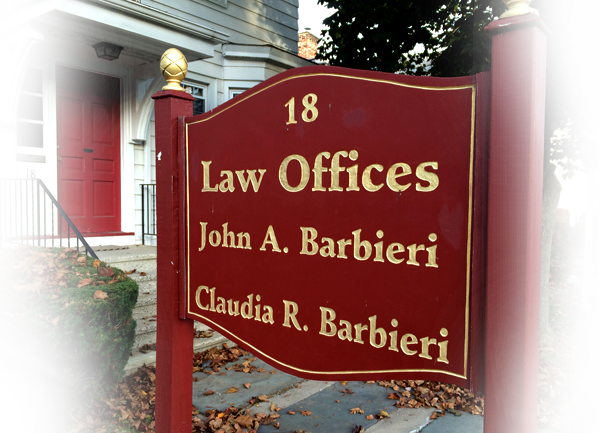 Recognized for its comprehensive, professional and innovative legal services, Barbieri Law, LLC, in New Britain, Connecticut, is a general practice firm committed to providing thoughtful and personalized legal assistance to you. Families and individuals come to us for one legal matter and stay with us for their entire lives as we provide legal advice and guidance through troubling times and also happy times. We are dedicated to consistent thoroughness and to providing clients with a maximum sense of confidence in placing matters into our hands. We care about our clients. Retaining an Attorney is an important decision. We are a Father–Daughter team maintaining a tradition of personalizing our services to fit the needs of all our clients, whether a business or an individual. The success of our approach is demonstrated by the large number of clients who have been with us for generations. Our long-standing objective of remaining a personalized firm enables us to extend our 50+ years of dedicated client services to you. We also offer a free initial consultation, a structured payment plan, and free parking at our Law Office near downtown New Britain. Copyright © 2019 Barbieri Law, LLC. All rights reserved.